Ten new jobs in GTA Online have received Rockstar’s stamp of approval. 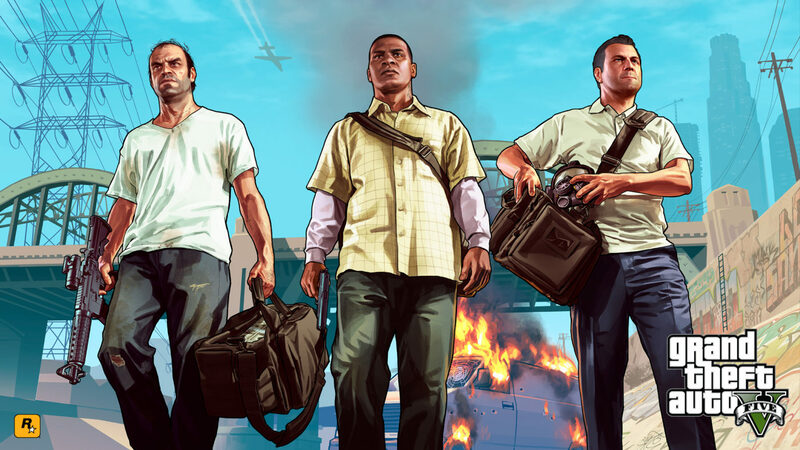 On the heels of winning the best multiplayer game at the BAFTAs, Rockstar has verified ten new Grand Theft Auto Online jobs, now available for Xbox 360 and PlayStation 3 users. Also, the studio retired the jobs originally approved in December “due to restraints on the total number of Rockstar Verified Jobs that can be made available at any one time in the game,” Rockstar says. “Going forward, as we continue to bestow Rockstar Verified status on more Jobs, we will be cycling out some of the earlier ones along with those updates. Without further ado, here are the latest ten including a wealth of highly-recommended Races and a pair of exceptional Deathmatches,” Rockstar explained. In case you’d like to play the jobs still in circulation, you can read up on the jobs released in January here and February here. Leader of tight-knit The Only Ones Gang, Poklaan already has 19 different Creations under the belt. We selected these two that are a fine showcase of Creator skills. “Around the Mirror” is a clean and quick Race for up to 16 players around the scenic area of Mirror Park. The long straights make it a great choice for the new blazing fast rides like the Grotti Turismo R and the Dinka Jester from The Business Update. Poklaan’s second Rockstar Verified Race entitled “Windy Hills” takes inspiration from the popular Rockstar Created Race “Power Trip”. It’s a 16 player motorbike Race through the rotary blades of the RON Alternates Wind Farm in Blaine County. This lap Race features long straights combined with several perilous cliff-side hairpin bends that require expert control and perfect timing. In “Transformer Station”, teams battle for control of the entire Los Santos power supply in the far northeast of the city. Pizza690 has a talent for Deathmatch creation and here has perfected the spread of props to provide cover where there aren’t transformers to hide behind. With just two armor pick-ups and a handful of firearms, your choice of starting weapons will be key to victory here. Meanwhile across the city, the gravestones of the titular “Hill Valley Cemetery” provide cover for teams looking to wake the dead, or add to their numbers. Here the plethora of health packs, weapons and vehicles available (Romero Hearse included), complement the availability of plenty of natural cover. As announced on his Twitter account and Social Club profile, bongongta69 is now “R* Verified baby”. This course turns the Sandy Shores airfield into a challenging track with tight turns, great views and bumpy off road sections that could easily throw you off course. Be sure to slow down for the tire wall chicane or risk being thrown head first into a patch of prickly pear. You can check out a video by bongongta69 previewing his Race here. Another great track built specifically for dirt bikes featuring on and off-road sections. “Farm Fresh” was picked out for R* Verification due to the diverse terrain explored in a map that navigates tight, difficult sections in and around Martin Madrazo’s ranch at La Fuerte Blanca, up to the Redwood Lights race track and back down to an on-road section in the Vinewood Hills. Creator Ma1evo1entCheese has honed the art of a good clean Race as a member of the Red Rum Racing Crew, a highly organized collective with their own forum for Crew meets and intra-Crew challenges. One of Red Rum Racing’s Commissioners also earns a Verification nod this round with the aptly named “Coupe D’état”. As we mentioned in our recent article outlining tips for the Race Creator, vehicle selection should always be carefully considered according to the layout and terrain of your course. LuapYllier has followed this advice perfectly, selecting an underused vehicle class that is perfect for the tricky turns and hill sections. Keep an eye out for crossovers where you can collide with opponents as well as a shortcut across the abandoned railway line. “Power Hour” is an exciting high speed Race in an area rarely used: the Palmer-Taylor Power Station on the east coast of San Andreas. With each lap featuring a double loop, there’s plenty of potential for some electrifying collisions – Race leaders may find themselves quickly targeted by those bitter at having fallen behind. Demon Low-Rider advises “total concentration” in this endurance Race from Grapeseed, round the Alamo Sea, through Sandy Shores and down the Senora Freeway into the city before finishing up at Mirror Park. With sections on asphalt and dirt, as well as tight turns and long straights, this diverse track will challenge all of your driving ability – particularly if you have the full complement of 15 opponents battling to throw you off course. A win on this course should serve as affirmation of your skill as a pro GTA Online racer. Confrontations in the city can often result in madcap dashes across town to the local health care provider for “repairs”. This short point-to-point (1.33 mi) lets you practice for that very situation as you race from Burton to Los Santos County General. Be sure to keep traffic turned on for the authentic emergency experience.